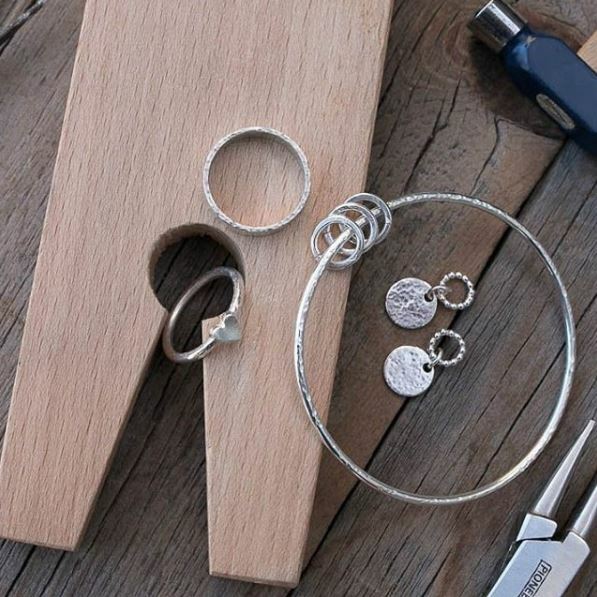 This 6 week course will cover the basics in silver jewellery design and construction including the use of basic tools, saws, soldering, hammering, drilling, forming and polishing. Students will have the opportunity to to make and design a silver ring, pendant, bangle and pair of earrings in the first 4 weeks of the course. After you have learnt these skills you can design and make a piece of your own choice for the final 2 weeks with the expert guidance of our tutor Fiona. She trained at Edinburgh College of Art and completed her masters at the Royal College of Art and we are thrilled to be working with her! The cost of the course (£185) pays for your silver for the first 4 weeks of the course. We ask that students buy their own silver for the final two weeks as the amount required will depend on your individual designs. This can be purchased from us on the evening and will be approximately £20 - £30. Prices determined by weight of the silver.